I’m standing in front of the mirror, I’ve pulled out that annoying hair and now I’m examining me mush, as ya do…to see what new creases and ailments it’s acquired. My eyes drift back to my eyebrows and a little thought of sadness passes my mind. Oh, to have gorgeous silver screen eyebrows, like Katharine & Audrey Hepburn, Marilyn Monroe, Diana Dors or even my gorgeous Italian work buddy, A. *sigh* Dam you Lily for ruining my dreams!! I went into Lily’s a little while ago and decided today was the day I’d get my eyebrows re-shaped into the arched lovelies I really wanted. I had done my research….I Facebook stalked A’s pictures until I could find the perfect picture of her eyebrows to show to Lily. (Sorry A!) I presented my picture to Lily and said, I want them please. 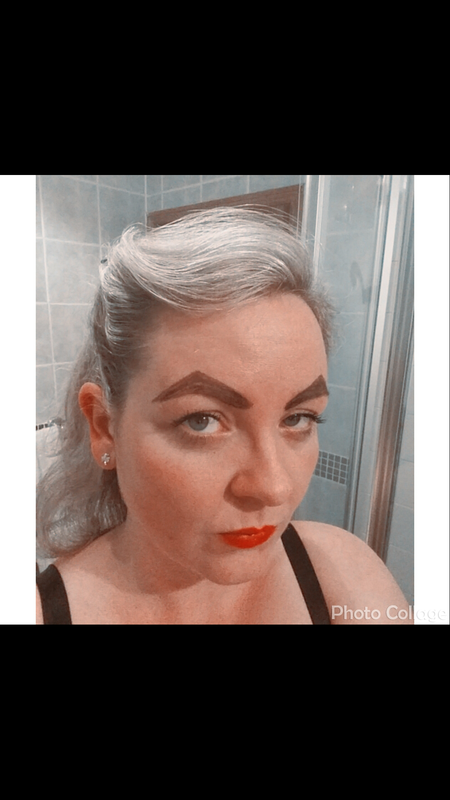 Oh no, no says Lily, these eyebrows do not follow the natural shape of your brow, we can’t do these. Huh? What? I thought I’d go in and Lily would whack the wax on in the shape I wanted, et viola…I’m transformed into a starlet!! Nope! Not happening! I didn’t challenge Lily, I didn’t want to end up looking like a Vulcan (much as I think Spock is “The Man”), what do I really know about this beauty malarky. Seriously, I only “learned” (I use that term loosely) to put on foundation at 30…I also got my very first eyebrow pencil then too! Thanks Lolli! Anywho, so there I am looking wistfully into the mirror and I think, shur what else have I got to be doing now, let me just draw some eyebrows on for the craic! I’ll send some pics to Ash and it’ll make her smile anyway. So away I go! Fifteen minutes later, some messing about on a phone app and here are the results…. 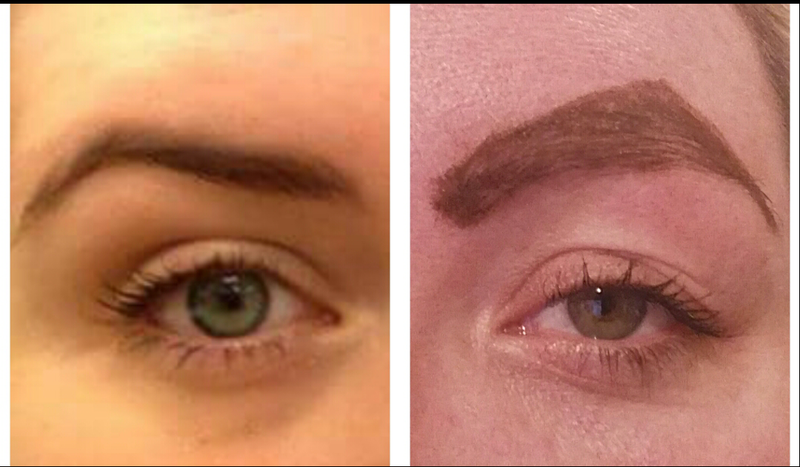 Can you seen how A and myself could easily be mistaken for eyebrow twins?? Yes it is essential that you take lots of ridiculous selfies, when you’ve pimped your face like this, you need to know what pose works best. Is it weird that I actually quite like the grey hair (at the rate I’m going this is probably a good thing!)? My sister actually text me back asking if I’d lost the plot…. why I would pay to get my eyebrows done like that and what did I doooo to my hair?? Eyebrows & hair on fleek!!! Hah Lily…I too can have eyebrows like that! BOOM! !